“Phonetic Method” of training is introduced to improve English vocabulary. “Theatre classes” are introduced to enhance confidence and expressions as well as overcome the development of stage fear. Children of minimum age 2 years 10 months and above are eligible for this program. Age will be calculated as on 31st May of the current year. “Phonetic Method” of training is continued to further improve English vocabulary. Kannada (oral and writing) is introduced to improve expression and vocabulary. Hindi (oral and writing) is introduced to improve expression and vocabulary. “Theatre classes” are continued to enhance confidence and expressions as well as overcome the development of stage fear. Children of minimum age group 3 years 10 months and more are considered for these classes. Age will be calculated as on 31st May of the current year. Kannada (oral and writing) is continued further to improve expression and vocabulary. Hindi (oral and writing) is continued further to improve expression and vocabulary. Children of minimum age group of 4 years 10 months and more are considered for these classes. Age will be calculated as on 31st May of the current year. The misbehaving child is given a count of three. A verbal warning is given and the face is changed to a sad face. Repeated incidents of inappropriate behaviour are reported to the principal office. The child is sent to speak to the principal and spends five minutes in her office. The child’s parents are contacted by our educators and the incident is recorded. 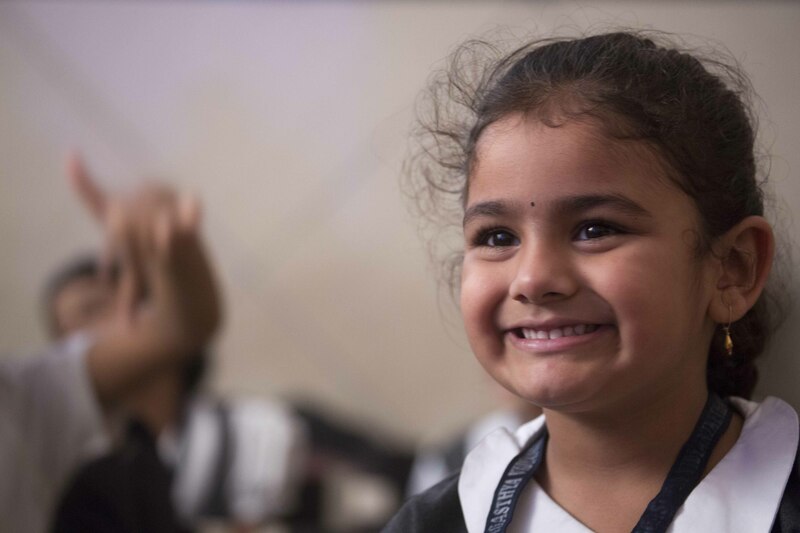 Our educators look for incidents of good behaviour of the child during the day and try to ensure that all children end the day with a smiley face. And finally… Please remember that although we have tried to include as much information as possible about our Montessori(M1, M2 and M3) classes both here as well as in FAQ’s and other places, you will probably still have unanswered questions. We encourage you to come and speak with us whenever you have a query or concern.